460. Fairbairn’s bailing-scoop, for elevating water short distances. 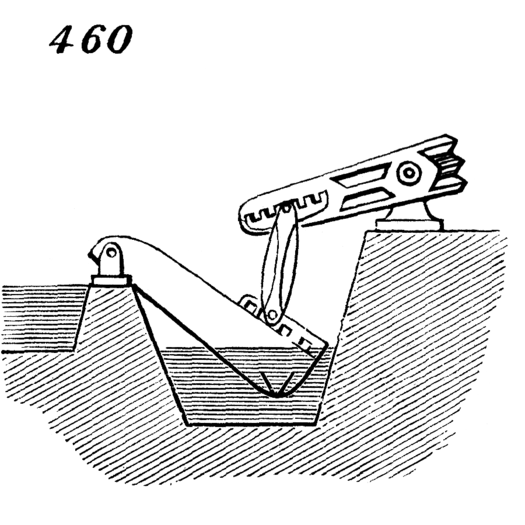 The scoop is connected by pitman to end of a lever or of a beam of single-acting engine. Distance of lift may be altered by placing end of rod in notches shown in figure.